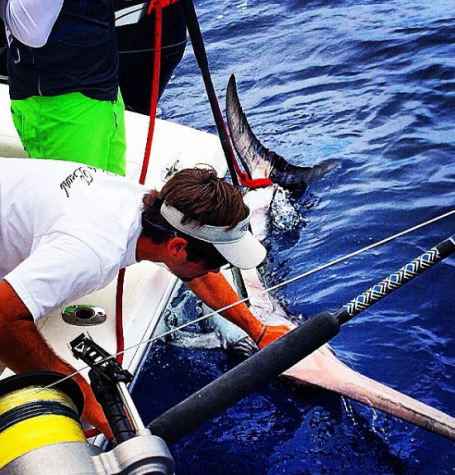 Captain Mike McCormack "Mr. Sailfish" is a Boston native, with over 2 decades of Saltwater experience. Mike is rated as one of the most dedicated captains because he fishes for the love of it rather than to make a living. Specialties are live bait kite fishing for sailfish, dolphin, kingfish and wahoo. Mike takes the time to make sure you have the trip "you" planned, whether its to catch that bucket list sailfish or a fun trip with the family with constant action. "I don't do the same thing every time, I do what the customer want's to catch them the fish THEY want to catch; too many charter operations never ask the customer what they want to accomplish.